According to DASA NIT website - From DASA 2021-22 onwards, admissions will be based on JEE Main ranks. What does this mean for CIWG and NRI students who wants to take admission in NITs and IIITs through DASA 2021-22? What will be the new rules of DASA and how to clear JEE Main exam? Through this page, we will look at all the concerns and queries of CIWG/NRI students regarding DASA 2021-22. 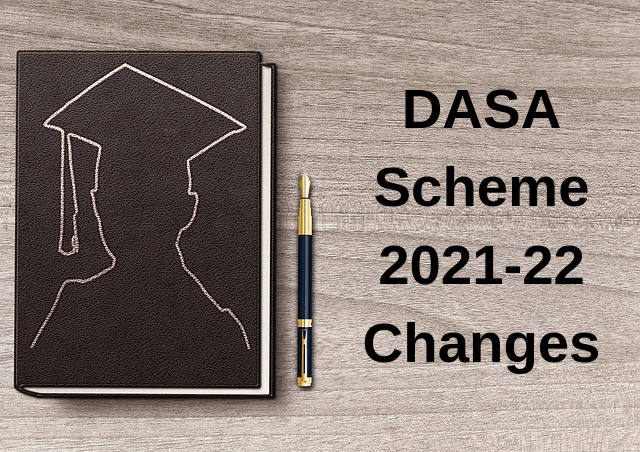 Is the DASA Scheme Available for 2021-22? Will SAT Subject Scores be Considered for Admission through DASA from 2021? What's the Criteria for CIWG candidates for DASA 2021-22? Which Grade Students have to give JEE Main for Admission through DASA? Is there a Rollback possible for this new DASA rule? What will be the Qualifying exam criteria for DASA 2021-22? How to Clear JEE Main Exam? How much Rank is required for Admission through DASA? Do I Need Coaching to Clear JEE Main 2021? Yes, the DASA Scheme for Direct Admission in NITs, IIITs is available for CIWG and NRI students. It's just that from 2021-22, DASA admissions will be on the basis of JEE Main Ranks. As per the DASA notification, SAT Subject Scores will no longer be valid from 2021-22 session. From DASA 2021-22 onwards, admissions will be based on JEE Main ranks. Any new changes for DASA 2021-22 (like eligibility criteria, admission rules), if made, will be updated here. You can bookmark or save this page for future reference. Just like other NRI/PIO/OCI students, Children of Indian Workers in Gulf Countries (CIWG) have to clear JEE Main for admission through DASA scheme. The fee and other criteria is likely to be the same for CIWG candidates from countries like Saudi Arabia, UAE, Oman, Qatar, Kuwait, etc. Students who are currently in grade 11 or below (in 2019-20 session) will have to give JEE Main exam for Admission through DASA. Students who are in grade 12 are still eligible for current DASA/CIWG scheme i.e. admission through SAT score. We don't know. Neither we can predict nor assume that there can be a rollback of this decision. As of now, CIWG/NRI students who are in grade class 11 should start their preparation for JEE Main. The qualifying exam criteria will be the same. You should have a minimum score of 60% in your Grade 12 Board Exam. Applicant should have completed successfully Mathematics, Physics and one of the subjects from (Chemistry, Biotechnology, Computer Science, Biology) in 11th AND / OR 12th, as applicable in the respective boards. JEE Main tests students on the basis of grade 11 and 12 PCM topics and concepts. You should have good speed and accuracy to clear the exam. JEE Main basically focus on the application of knowledge. So firstly you have to acquire the knowledge with clear concepts. This will take care of you Boards. While JEE Main requires practice and fast problem solving using various results and tricks. JEE Main Rank and cut-offs for DASA scheme will be informed later. As of now, you should target to clear JEE Main with top rank to get admission in best NIT or IIIT. Yes, you should join coaching for JEE Main 2021. A two year course for JEE is ideal at the start of class 11. When we enter class 11 their is a huge gap between the level of class 10 and class 11 which has to be filled. Students who join a coaching get good help from teachers and as a result it becomes slightly easier for them. Coaching classes provides students a balanced approach where they can prepare for JEE Main in consistent way and at the same time they can do good in school also. Your teachers will not just help you in solving problems or clearing doubts, but will keep a constant watch on your study methods and your preparation level. A team of experienced and qualified teachers (including IITians) will teach you online using computer/laptop and internet connection. Mystudycart online classes are live and interactive that allows 2-way communication between teacher and student. It’s like a normal classroom where you will be able to interact with teacher and can ask your doubts. The batch calendar will be given to you in advance. The hard copy study material will be delivered to your home after the enrollment, and a free online test series will also be provided for solving mock tests. One of the benefit of joining Mystudycart is that if you are not enrolled to a regular online classroom course, you can purchase a customize package for JEE Main (which includes only the topics or chapters you want to study). You’ll be allotted the number of hours that are required to complete your topics. Abrar Syed (student of Indian School Al Ghubra, Oman) enrolled with Mystudycart for JEE 2 Year Course in class 11. In this video, Abrar talks about Mystudycart online classes, student understanding, the faculty, study material and online test series. Abrar is fully satisfied with Mystudycart Online Coaching. Do you like to prepare for JEE Main 2021 from experienced and highly qualified teachers, right from your home? Check out a Free Online Demo Class now. For more queries related to DASA scheme 2021-22 and JEE Main, you may contact us on +91-888-2124-333 or fill and send the below form to request a call back.